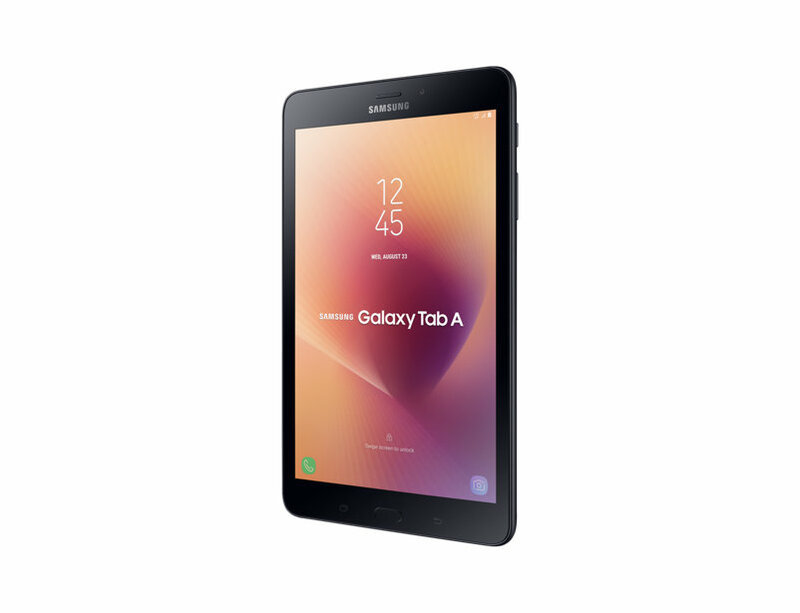 Samsung has launched a new mid-range Android tablet in the Indian market, the Galaxy Tab A (2017). The Galaxy Tab A (2017) made its debut in Vietnam roughly a month back. Unlike the mid-range Galaxy tablets of the past, Galaxy Tab A (2017) features a premium metal build. In terms of the hardware specifications, however, the tablet isn’t particularly impressive. The Galaxy Tab A (2017) features an 8-inch LCD display with 1280 x 800 WXGA resolution and a claimed peak brightness of 480 nits. To make it easier on the eyes when reading, Samsung has added a Blue Light Filter mode as well. The processor inside is Qualcomm’s outdated quad-core Snapdragon 425, which has been coupled with 2GB of RAM. In terms of storage, the tablet offers 16GB of native storage, further expandable by up to 256GB with a microSD card. At the rear, Samsung’s new tablet offers an 8MP autofocus camera paired with an f/1.9 aperture lens and an LED flash for decent performance even in low light. For video calls, you get a 5-megapixel snapper on the front. Connectivity wise, Samsung Galaxy Tab A (2017) comes with Wi-Fi 802.11 a/b/g/n dual-band, Bluetooth 4.2 Low Energy, Wi-Fi Direct, ANT+, GPS with A-GPS, Glonass, BeiDou, and Micro USB 2.0. There is even a Nano-SIM card slot with support for 4G LTE networks. For impressive battery stamina, Samsung has equipped the tablet with a 5000mAh capacity battery. The company claims it helps deliver up to 14 hours of continuous video playback, making the tablet a great travel companion. Moving on to physical dimensions, the tablet measures 212.1 x 124.1 x 8.9mm and weighs in at 364 grams. On the software front, Samsung Galaxy Tab A (2017) runs on Android 7.1.1 Nougat OS with the company’s custom Android UI layer running on top. And since it is a relatively new device, it comes with Bixby Home and Bixby Reminder features. Bixby Voice, however, is not supported. You do get a dedicated Kids Mode, a handy feature if you have small kids in the house. Samsung has priced the tablet at Rs.17,999 ($275) in India and offers it in two colors- Black and Gold.